This old English village is a leafy suburb and one of the Capital’s most exclusive neighbourhoods, sometimes referred to as the Beverly Hills of north London. Currently a protected picturesque residential area in the borough of Barnet, Totteridge attracts residents seeking a quiet, prestigious setting, making it a popular choice with celebrities. Community spirit is key: Totteridge Residents Association enjoys peak membership, with numbers close to 2,000, making it highly influential. There are plenty of village-type activities up for grabs, such as village fetes, sports days and vegetable-growing competitions. Plus, there’s a village green with ponds in this peaceful and friendly area, which is only around 11 miles from central London. A parade of useful shops and some good pubs and restaurants offer essential amenities, but the main lure is the great outdoors. Residents can enjoy easy access to the North Middlesex Golf Club, as well as a common and two nature reserves, Whetstone Stray, Swan Lake, Brook Farm and the Dollis Valley Greenwalk. Commuting is easy: Oakleigh Park station provides access to the city within 30 minutes; Totteridge & Whetstone station is in Travelcard zone 4 on the Northern Line; and a number of reliable bus routes serve the area. St Andrew’s Church has a yew tree in its grounds. Known as one of the Great Trees of London, it is reputed to be somewhere between 1,000 to 2,000 years old. 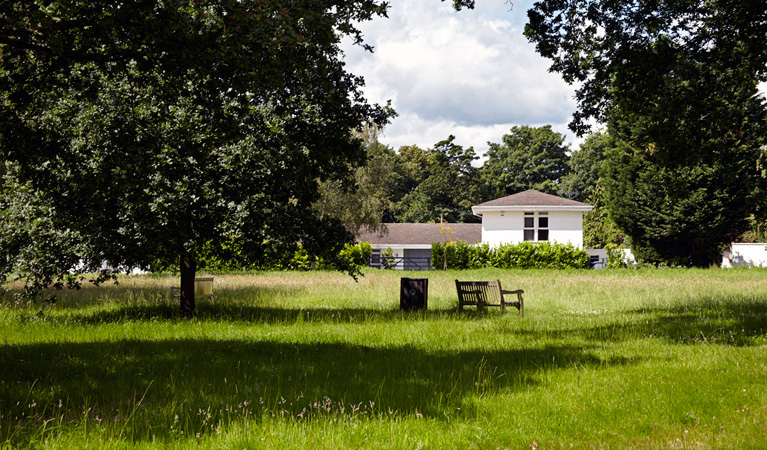 If you’re after a sprawling period (or period-style) country pad set in acres of land, with a carriage drive encircling a manicured lawn, Totteridge is the haven for you. As well as the grandest of grand properties, though, there are more modest options – picture-postcard cottages, Victorian and Edwardian detached homes, and, closer to Whetstone, some 1930s semis and detached properties, plus modern flats. The most expensive and exclusive homes are to be found in and around the Village and the Common. There are also several high-end apartments in the Princess Park Manor development. If you live up high on the south side of Totteridge, you’re likely to enjoy far-reaching views, such as the Trellick Tower in Notting Hill to the west or Canary Wharf in Docklands to the east. Aside from the Village and the Common, highly desirable property sits on Pine Grove, Northcliffe Drive, Grange Avenue, Harmsworth Way and Totteridge Lane. And don’t forget Horseshoe Lane, which is coveted for it luxuriously inaccessible location, since it’s almost totally hidden from the main road.